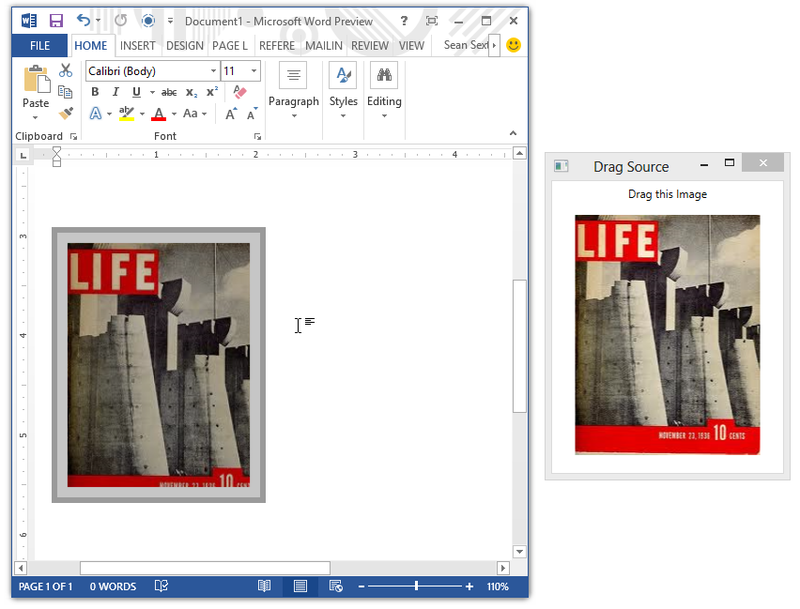 You can use the drag and drop functionality in WPF to drag an Image control out of the application. You can drop this image onto a Word document if you convert the image to an enhanced metafile format. Here’s the code that initiates the drag operation. This also requires a utility function that converts a Bitmap to a stream containing a Metafile, taken from Stack Overflow. Hi Sean, thx for this nice peace of code. On its own it works perfectly. In my application I need the functionality to drop on Word and other targets as well like the Windows Explorer, the Desktop and so on. I tried the DataFormats.FileDrop (as I did before) which worked before for the Desktop and the Explorer, but if I use both of this DataFormats together – the Word Drop doesn’t work anymore. I assume that word checks for the FileDrop first and ignores the EnhancedMetafile format. 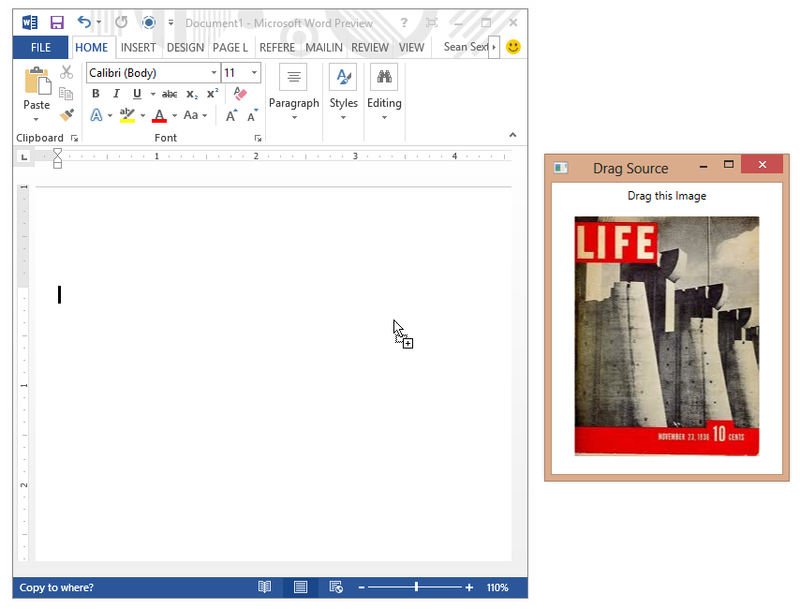 So the image never appears in Word. Do you have any idea how to get this working together peacefully or am I just doing something completely wrong?